Do you need to register more than 1 domain name extensions? How many domain name extensions should you register is an important question that many people ask when thinking of buying a domain name. Do you go for the .com, .net or .org.? There are times when it does seem a good idea to register many domain name extensions. This article will hopefully help you decide if this is the right choice. Different extensions specify what sort of site can be found on the extension. Below is a small sample of some of the main domain name extensions. .net – “Network” This extension tends to be used by web hosting, internet service providers and others network or internet related site. .biz-“Business” Similar to the .com but not as used as much therefore if the .com is gone many businesses will use the .biz. Sometime even if they can get the .com they will buy both. .info “information” Generally used for websites that are information based. The .info is not as widely used so you have a better chance of get one. 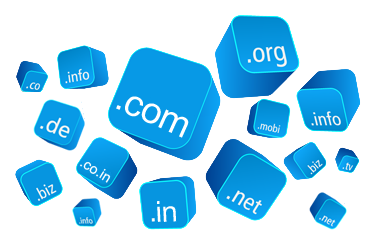 Because these domains extensions are new and many people do not know about then they are easy to get but you have the problem of people not typing in the correct domain name extension. So Which Domain Name Extensions Shoul I Buy? This depends on what sort of business, service or organization your website is. Many businesses and organizations domain name extensionshave brands that they need to protect. One of the best was to safeguard your brand is by buying more than one domain name extension. At the least you should buy the .com and any domain extension may use to find your website. All the domain name extensions that you register should be forwarded to the actual domain name extension that the website is on. For example if you are am organization and you put your website on an .org but you also register the .com then you would forward the .com so when people type it in they are taken to the website on the .org. So while i can be a good idea to buy a few different domain name extensions, you need to be sure that the cost outweighs the benefits because remember you will have to pay a renewal fee for each of them every year.